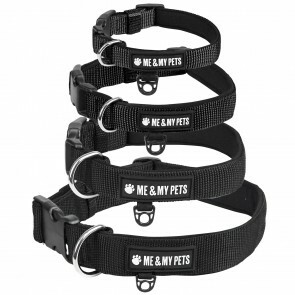 Explore our fantastic range of Dog Collars and Harnesses to find the right collar for you and your pup. We have a wide selection of sizes and styles to suits dogs of all types so whether you're the proud owner of bouncy beagle or a cuddly corgi, we have a collar for you. Discover high quality leather, brushed buckles and easy to fit harnesses. We also have Neoprene collars which are brilliant for dogs who love to explore and swim whenever they're out and about.